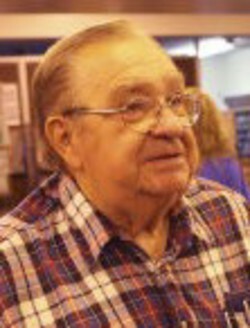 The Executive Boards of NAPUS and the League decided to name their successor consolidated organization the “United Postmasters and Managers of America (UPMA)”. The two Postmaster organizations determined that using the previously agreed upon name, the Postmasters and Managers of America would result in the acronym “PMA”, an abbreviation shared by a number of organizations, including one that participates in the Federal-Postal Coalition, the Professional Managers Association. There was concern about potential confusion, particularly in the federal coalition, an umbrella group in which both Postmaster associations currently participate. The merger of the two management organizations is expected to be finalized at their respective conventions later this summer. Postal Service Announces RIF Effective Date Change, Career PTF Assignment Option for Remaining Impacted POStPlan Postmasters. As a result of a Memorandum of Understanding (MOU) negotiated with the APWU, the Reduction in Force (RIF) separation date for all remaining impacted POStPlan Postmasters in 2, 4 and 6 hour offices has been extended until February 6, 2015. The effective date of RIF demotions and voluntary reassignments is now February 7, 2015. If you already sent in your acceptance form, you do not need to take further action at this time. The MOU dated December 31, 2014, will allow impacted Postmasters whose offices have been re-evaluated to a 2 or 4 hour per day Remotely Managed Post Office (RMPO) with an opportunity to volunteer to become career PTF clerks. A letter providing information about the new option for impacted Postmasters, including how to accept the assignment offer, your pay and work schedule if you accept the offer, will be provided to you in the coming days. All separations, including optional retirement and RIF separations will be effective Friday, February 6, 2015. If you have submitted a retirement action effective January 9th, the Human Resources Shared Services Center (HRSSC) will reach out to you directly. Questions should be directed to your District Human Resources Manager or Manager, Post Office Operations. LEAGUE Headquarters received copies of the letters sent to current PMRs and PMR annuitants regarding the recent Memorandum of Understanding (MOU) with the APWU on the POStPlan arbitration. The notices let both the PMR and the PMR annuitants know that they could still be used in 2-hour offices if they chose to continue to be PMRs. In addition, the Postal Service let the PMRs know that they could apply for PSE positions under the provisions of the MOU and because their knowledge, community connections and ability to provide great service make excellent candidates for these positions. The annuitant letter states that they, too, are eligible to apply for other postal positions if they desire to continue working; any such reemployment will subject the annuitant to the mandatory offset, or reduction, to salary normally required of a reemployed annuitant. The PMR letter provided information on how to apply for PSE vacancies that are announced on www.usps.com/employment. The LEAGUE also has a PowerPoint to assist PSEs in application process. Many of the PSE jobs started getting posted last week and will continue over the weeks to come. We urge our current PMRs who want to apply for PSE positions to do so. Do not delay if you are interested in applying for PSE positions – register and build your profile now at www.usps.com. Read more: National League of Postmasters – Homepage. 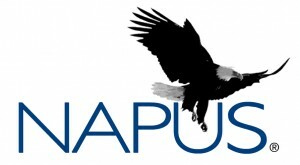 NAPUS and the LEAGUE have received Steven Goldberg’s arbitration decision on POStPLan. Both organizations are deeply disappointed with the decision and are still working through the details of the arbitration document. Clearly this will have an impact on PMRs in 4-hour RMPOs, vacant 6-hour RMPOs and 6-hour Postmaster positions in the future. We can be thankful that incumbent 6-hour Postmasters (including those being RIF’d to 6-hour Postmaster positions), will keep their Postmaster position as long as they do not vacate the office. Once these offices are vacated, they too will be staffed by APWU employees. • 4-hour RMPOs will be staffed with APWU PSEs. The PMRs in these offices will have the opportunity to take the test and apply for the positions. • 6-hour RMPOs will be staffed by NTFT employees or traditional employees. Those offices with incumbent Postmasters, including those accepting their own office as a RIF offer with a reduction to 6 hours, will stay in the jobs until vacated. • PTPOs 6-hour offices will stay staffed with a Postmaster. These offices were not part of the arbitration decision since they still have all of the Postmaster administrative responsibilities. When any RMPO or PTPO is evaluated and increases to a Level 18, the office will then be posted and filled by a non-bargaining employee and managed by a Postmaster. All Level 18 offices will be staffed with PTFs instead of PSEs, ending the staffing issues for many Level 18 Postmasters. Both Postmaster organizations continue to review the POStPlan Arbitration. Clearly the fact that Postmaster administrative duties were removed from the 6-hour Postmaster positions and the 4-hour RMPOs weighed heavily on the arbitrator’s decision. We will keep you posted as to further developments regarding the arbitration as well as the timeline for conversion of the 4-hour RMPOs from PMR to PSE employees. 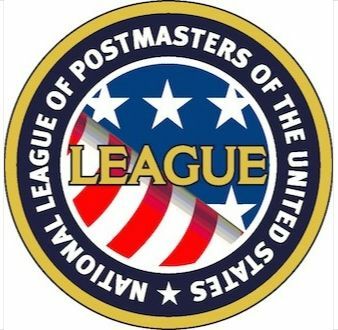 The Postal Service and NAPUS President, Tony Leonardi along with League President, Mark Strong continue to discuss final POStPLAN implementation. Post Offices were scheduled to be notified of their daily earned workhours using FY 2013 data by close of PQ II (03/31/2014). The delay in notification by Postal Service was due to ongoing discussions and validation of data. A determination and timeline on implementation is expected soon. We will update our website when information is finalized. As the result of a recent meeting between NAPUS President Bob Rapoza and incoming President Tony Leonardi with Postal Service representatives, a clarification has been issued on the effective date of Level 18 offices that would be downgraded in FY 2016. The original statement from Postal Headquarters was that while encumbered EAS-18 offices would continue to be evaluated under POStPlan on an annual basis, none of these offices would be downgraded until FY 2016. During a recent meeting with Postal Service representatives, NAPUS requested that the downgrade of encumbered EAS-18 offices be extended through FY 2016, and that request was approved, with an effective date of the end of September, 2016. Postmasters whose FY 2013 overall numeric rating is 3 or below will receive an adjective rating of contributor.